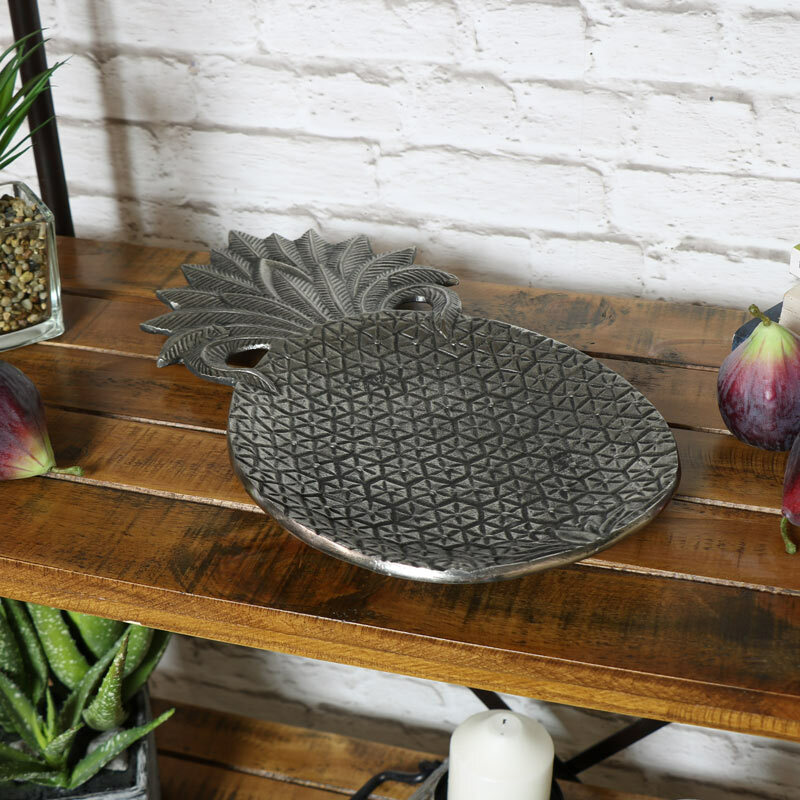 This fantastic display tray will add a definite tropical feel to your home decor. Aged, antiqued silver finish that gives the appearance of age. Quirky and so stylish, this is just perfect for offering a place for trinkets, keys or creating a funky display. Great for every day use or as a fun gift idea. This fantastic display tray will add a definite tropical feel to your home decor. Aged, antiqued silver finish that gives the appearance of age. Quirky and so stylish, this is just perfect for offering a place for trinkets, keys or creating a funky display. Great for every day use or as a fun gift idea. 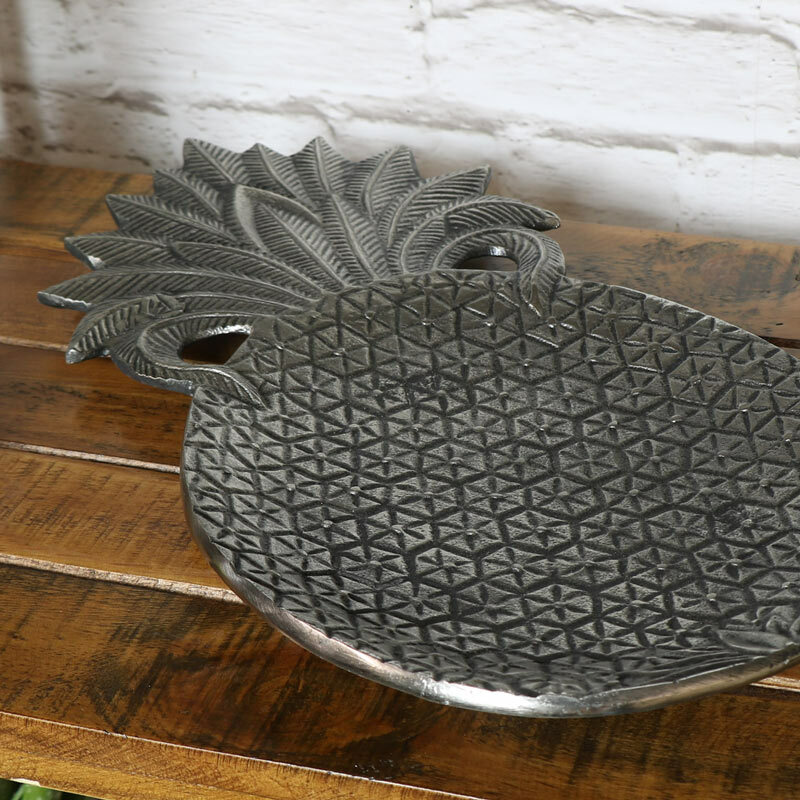 Made from metal in a pineapple shaped with imprinted design. With a fantastic range of gifts and home accessories to choose from, you will find it easy to pick the perfect gift for friends and family.